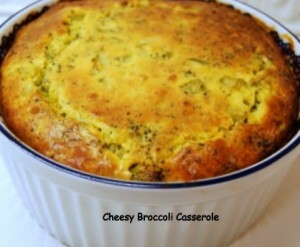 This is a fluffy egg casserole that is reminiscent of the 1960′s and 1970s. It’s the “feel good” dish that brings to mind a simpler, less complicated time, a time where conversations happened at the dinner table. Bring that lovin’ feeling back home. Listen to the Righteous Brothers while you’re enjoying it! April 13, 2012: Recipe updated to include Nutritional Information, entered by Christine Cummins, Nutrition Student, West Chester University, West Chester, PA.